Just can't get enough Miku? 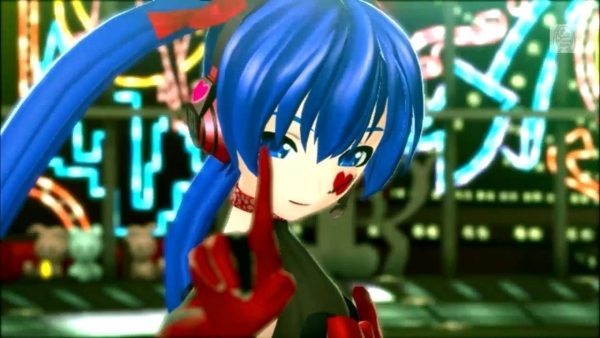 Lucky for you, there's a new compilation trailer of Hatsune Miku: Project Diva X songs you can expect to see in the game. The PS vita version is launching in Japan on March 24, 2016, but you can get an early look at songs like "Nounai Kakumei Girl" by Maretu, "Ai no Uta" by LamazeP, "Mrs. Pumpkin no Kokkei na Yume" by Hachi, and "Renai Saiban" by 40mp with the trailer above. This is going to be another exciting entry in the Hatsune Miku series, especially for fans of rhythm and music gaming. It's been a great couple of years for the genre, and it looks like things are only going to get better from here.